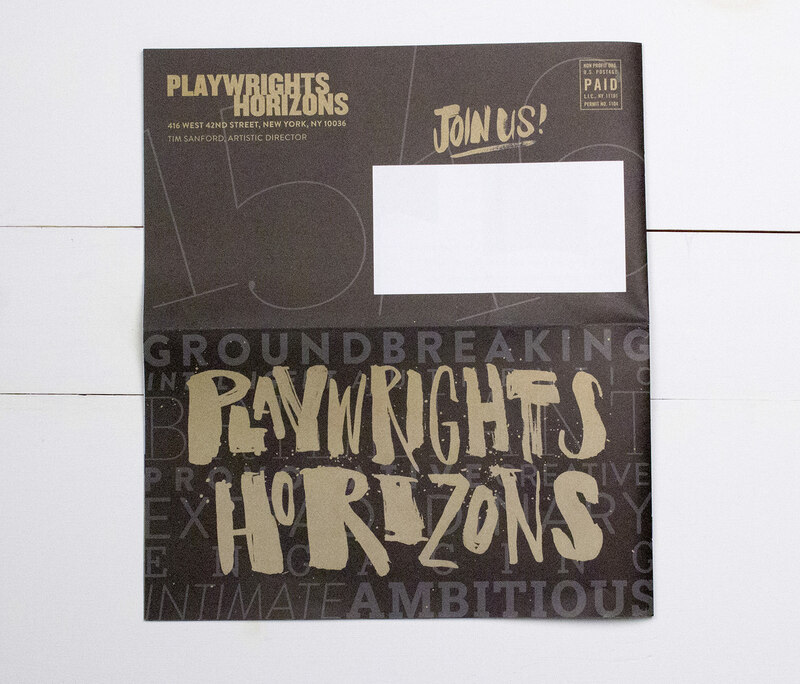 Playwright’s Horizons is a writer’s theater in NYC dedicated to the support and development of contemporary American playwrights, composers and lyricists, and to the production of their new work. 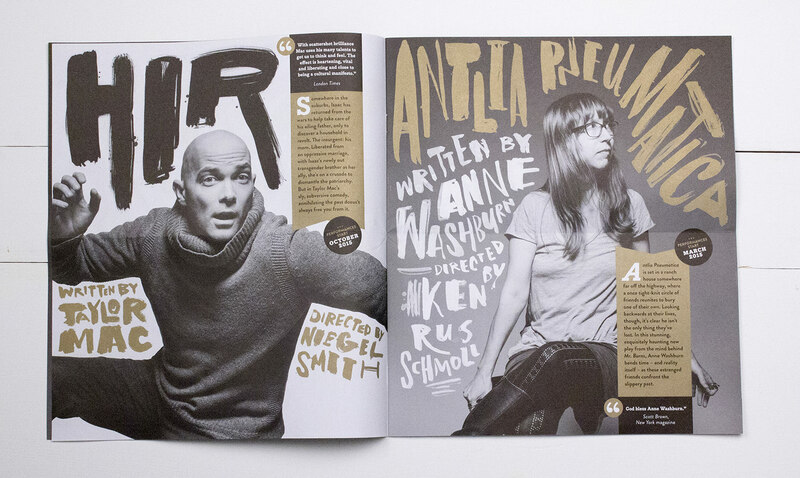 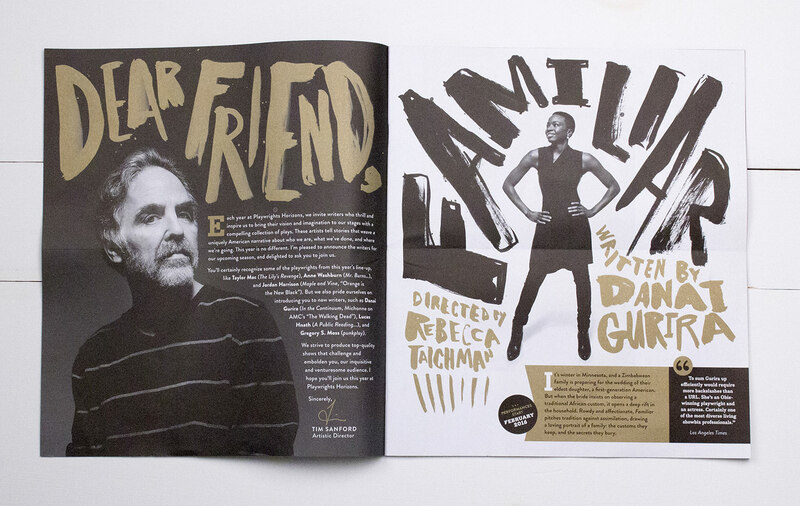 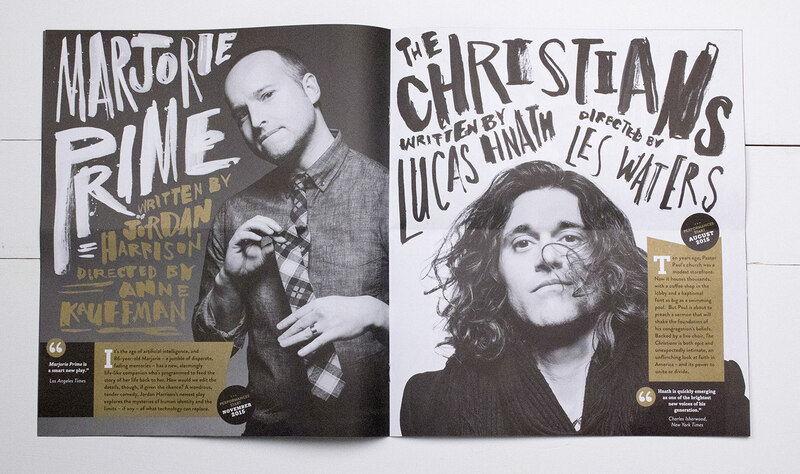 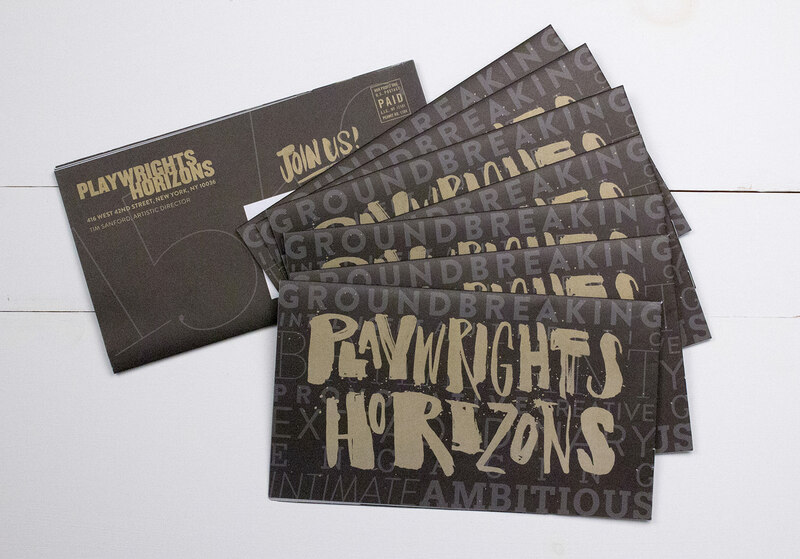 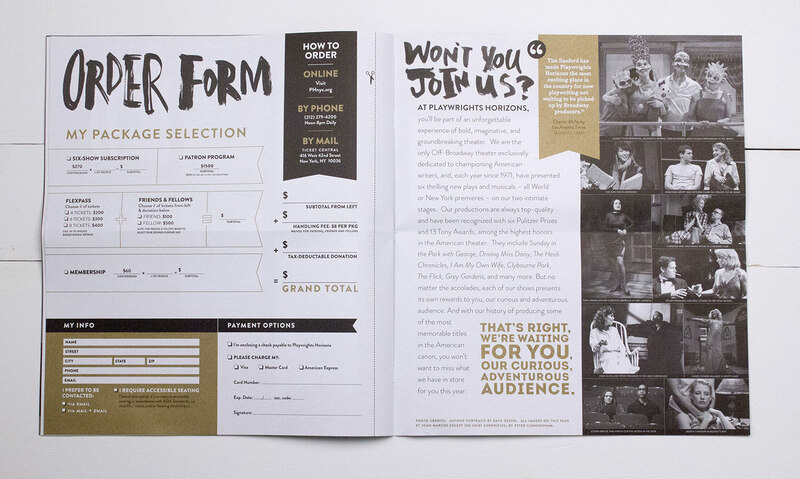 The goal for this brochure was to highlight the playwrights featured that season using photography and gestural painted lettering that expressed the artistry of these amazing writers. 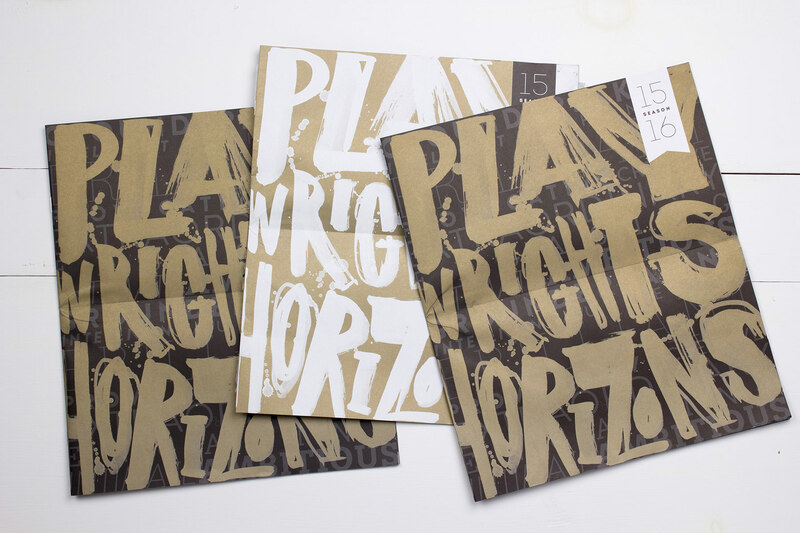 The piece was printed with black and metallic gold. 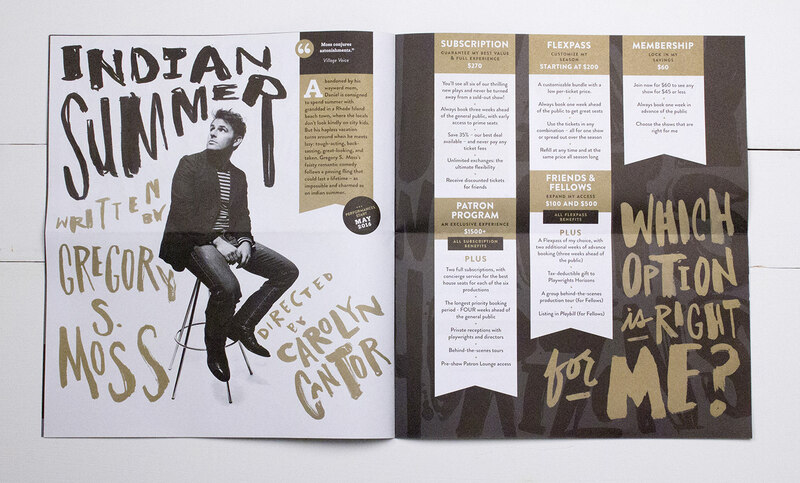 This brochure was featured in the Type Directors Club TDC62 show and Typography 36 annual, the Communication Arts 2016 Type Annual, and received a merit award in the Print magazine Typography Annual.